Ireland is one of the most ancient and modern countries in Europe. Our London-based writers of Irish ancestry lead you to the best of the old and new on their beloved Emerald Isle. Under their guidance, you'll experience the cosmopolitan luxuries of Ireland's cities, learn the secrets of its ancient ruins, and figure out the smartest ways to navigate all that green in between. They hit all the highlights and tell you how to see them in their best light—from the Giant's Causeway, Newgrange, and Glendalough, to the Ring of Kerry, Killarney National Park, and Cliffs of Moher. Plus they lead you off the beaten path to undiscovered ruin sites, unsigned prehistoric tombs, and gorgeous isolated beaches. They visit all the best hotels and hottest restaurants in person, discover new places not yet on the tourist maps, and offer authoritative, candid reviews to help you find the spots that best suit your tastes and budget. 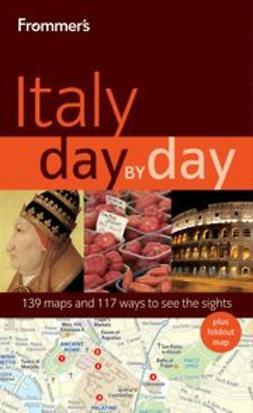 You'll get up-to-the-minute coverage of shopping and nightlife as well; detailed walking tours of city neighborhoods and small towns; special-interest trips for families, foodies, pub crawlers, lovers of literature, and history buffs—including Ireland's wealth of prehistoric sites; 900 full-color photos, a full chapter on Ireland's rich history and culture, and advice on planning a successful Ireland vacation. 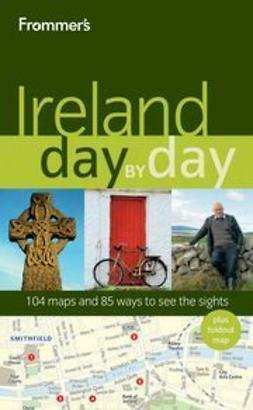 Frommer's Ireland Day by Day also includes a color fold-out map.